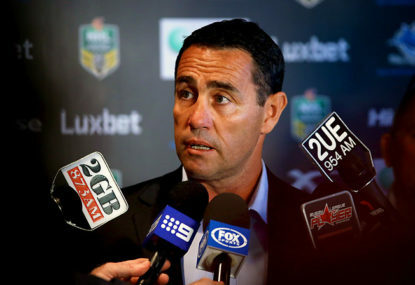 Obviously last weekend’s results and press-conferences sparked the recent boil-over, but it has been bubbling under the surface for most of the season with several coaches copping breach notices for post-match comments. This season there seems to have been an evolution from ref-bashing to flat out ref-faulting with several Roarers labelling it as a scourge on rugby league. Now, I’m not writing this to get into a discussion of what’s been said, but all this talk has got me wondering if this situation has something to do with a thought that’s been on my mind for a while now. Is the current ref-faulting (or the ref’s influence on games, depending on which side of the fence you sit on) a serious issue itself or is it merely a symptom of a much broader problem? For a while now I’ve been curious about how much of an effect the game’s current meta is having on the sports long term health. Now I’m sure this is a concept that some of you are familiar with, but if you’re not please stay with me. Meta is a term that has come to be used in the video game industry, and more specifically in the competitive online market, to describe an emergent methodology that is a subset of the basic strategy necessary to play the game at a high level. It’s basically a term that encompasses the current strategies and tactics that a player or team must use or plan for to remain competitive in high level matches but aren’t necessary to play the game itself. The meta of a game can change significantly over it’s lifetime as new attitudes and play-styles become popular. To illustrate this in the context of rugby league, I don’t have to know the intricacies of the wrestle to have a chance playing against my mates on the weekend but if a current NRL player or coach tried to win a premiership without plans to either incorporate or counter the wrestle they would be at a severe disadvantage. By the same token, professional teams in 80s and 90s didn’t need to have any idea about the wrestle to remain competitive as it didn’t exist in the meta of the time. Generally, a game’s meta exists in a perpetual cycle. First an elite player will discover or build a strategy that is particularly effective, as the strategy’s effectiveness is demonstrated and proven it gets adopted by other players and begins to trend. Top level competitors then build strategies to counter this new widespread tactic which in turn become more mainstream, counter strategies are then built against these now common counter strategies, diversifying the meta-game. The meta-game then stabilises with a limited amount of viable strategies which can result in the game becoming stale and predictable. Developers then step in to reduce (or “nerf”) the original tactics effectiveness, simultaneously diminishing the effectiveness of all counter strategies until another tactic is developed, taking the cycle in another direction. With the rise of esports tournaments boasting multi-million dollar prize pools and the gambling interest which that attracts, game developers are more and more focused on maintaining game play balance in their games by staying on top of current meta and ensuring that no tactics are allowed to become over powered. Similarly in the NRL, the administration is constantly looking to ensure that specific tactics don’t become too effective and lead to the game becoming stale. You see, there are two types of rules in the NRL, those that were established to set the constraints in which the game is meant to be played which generally originated with the game itself and those that have been introduced over time to control the games meta. 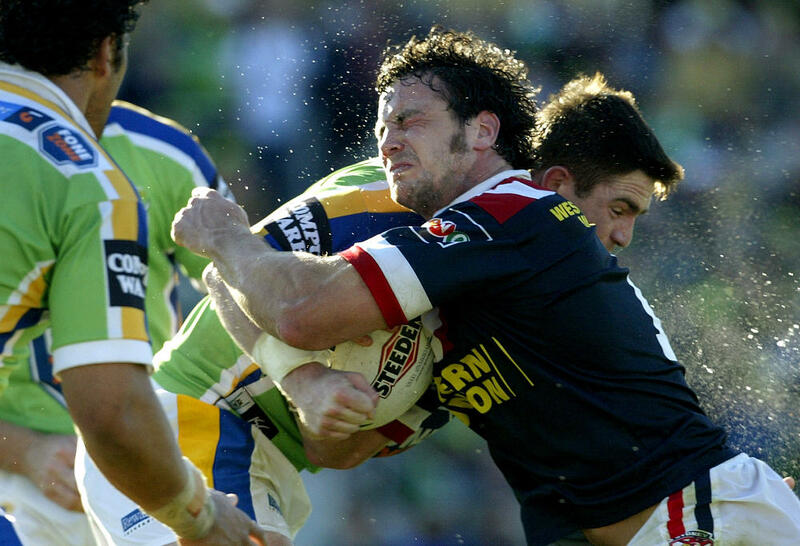 A perfect example of a meta-focused rule was the introduction of limited tackle sets after teams in both Australian and English leagues adopted tactics to monopolise possession under the unlimited tackle rule (most notably St George in the NSWRL with 11 consecutive premierships). This rule did away with many of the negative tactics that were handicapping the league at the time and went on to become one of the foundations on which the modern game is built. However, this isn’t always the case. The problem with implementing new rules or interpretations to eliminate specific tactics is that once this has been accomplished the rule itself may cease to have any purpose and even become detrimental by discouraging tactics and play-styles that you may wish to encourage. A perfect example of this is the adoption of the seven tackle restart when a kick goes dead in goal. This change was made to stop teams from deliberately kicking the ball dead to deny dangerous fullbacks (Billy Slater in particular) the opportunity to punish teams on the kick return and was very successful with the tactic effectively removed from the game entirely. Now though, this same rule that was introduced to discourage negative play and to facilitate a constant contest between teams has lead to other forms of negative play. Teams quickly figured out that shadowing the ball as it went dead and the resulting short break and seven tackle restart was more beneficial to them then the rules original intent of encouraging kick returns could ever be. There was also the unintended side effect of it harshly punishing legitimate attacking kicks, including close range grubbers, which made them increasingly risky tactics and thereby limiting the amount of viable strategies. While there are exceptions, this has resulted in a good running game becoming far more attractive in young halves than a good kicking game. This just goes to show the difficulties involved in trying to effectively balance the modern game. So while this illustrates the administration’s attempts to control the impact of the game’s meta on the sport, it’s time we shifted our focus to ones actually driving the meta. 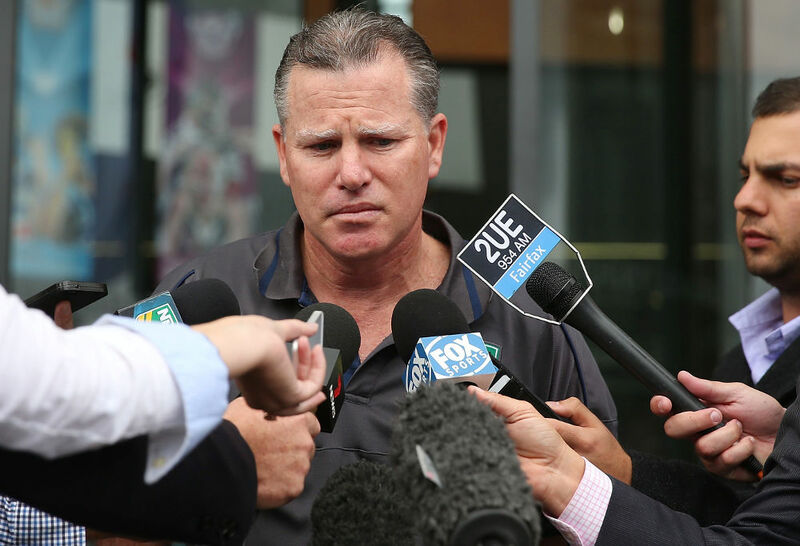 In the NRL this points squarely at the coaches. First things first, not all tactics within the games meta are negative by nature. The vast majority of tactics that are developed have a relatively short shelf life as they are quickly countered and never become so overly effective that official action is required to limit their impact. The reason teams don’t use the flying wedge or the wall any more is simply because far more effective plays have been developed, not because they had to be stamped out. Despite this, over recent seasons this natural evolution of the meta has veered down a dubious course. More and more, players are being coached to not only bend and stretch the rules, but to break them outright. Every week we see players deliberately offside, players run off the ball or tacked without the ball, markers coached to stand side by side. Certain teams even adopted the tactic of deliberately conceding penalties rather then allowing the opposition momentum in attack. Never in the history of the game has this been so prevalent. This is all very sad and all, but what’s it got to do with coaches pointing fingers at refs and the subsequent backlash? Well one of the natural consequences of this attitude towards exploiting the rules is that penalties are becoming an increasingly important part of the ebb and flow of the game. No longer do penalties exist to keep players in check, they are now key components to controlling the momentum of the game and must be “earned” and “won”. More focus is on playing the penalty then playing the ball. Milking, once classed as a poor form, has become rife and we see players appealing to the ref after every try or tackle over non-existent infringements. The grudging respect that referees once held has been replaced with the contempt one holds for a pawn whose sole purpose is to be manipulated. With this inflated value given to penalties, it should come as no surprise that coaches pay much more attention to penalty counts then ever before and are far more likely to blow up about perceived injustices in such an important part of their game plan. You see, to remain competitive first grade coaches must exist solely in the bubble of the games meta, an area of the game that most supporters have little concept or care of as they share a more traditional view of the games rules and flow. In the current meta, penalties are not black and white, they are elements of the game to be contested, and this is why we see coaches complaining about interpretations and not getting a fair share of 50-50 calls. Fans see penalties and team performance as separate topics and question why coaches don’t reference team performance when justifying a loss, while coaches see penalties as part of the teams overall performance and view unrewarded penalties as their team being denied opportunities to compete. This disconnect has lead to majority backlash over the last week. So how does the NRL go about controlling this aspect of the games current meta? Unlike how you would approach containing an overly effective game plan, an attitude of exploiting rules cannot be fixed by adding new rules. Like shot clocks and seven tackle restarts, teams would just find ways of exploiting them as well. No, the best chance of readjusting this attitude is to strictly enforce the rules that were put in place to shape the game itself, the absolute basics that every fan understands. The loosening of these basic constraints was what allowed this attitude to grow in the first place and if teams aren’t allowed to get away with breaking the core rules this part of the cycle will end and the meta will continue in another direction. Your average fan will never have much than a shallow view into the depths of the game’s highest level tactics and counter tactics, but if the games meta is aligned closer to the fans perspective on how the game should be played though use of the same basic constraints the sport will have a much healthier future ahead then the one our current path is leading. This closer alignment would also give the sport broader appeal to casual audiences with limited understanding of the rules and invite back disillusioned fans into the fold. A healthy meta is a healthy game.